TenneT produces a range of position papers to explain our vision and position on social and political issues in the electricity sector. GIL technology has been around for years and can in highvoltage substations as well as high-voltage connections. 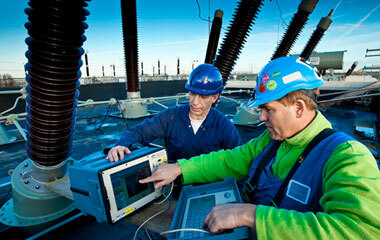 At the moment, TenneT only uses GIL technology at highvoltage substations. Currently, a total of around 250 km of GIL connections have been installed around the world, mainly as short-distance, above-ground applications or in tunnels, with only 1 km below ground. TenneT manages a solid, reliable transmission grid. We are responsible for maintaining the present quality standard, also after expansion of the grid. This determines the technical principles governing our decision to use either direct or alternating current. Electric and magnetic fields are generated wherever there is electricity. What are electrical and magnetic fields? Do they pose a health hazard? Has the government imposed a maximum on field strength? This position paper provides an overview of the relevant issues. TenneT produces a range of corporate brochures to inform stakeholders on our activities and developments in the electricity sector. TenneT issues a large number of technical publications on both the electricity sector in general as specialised technical issues.